Children Christmas Wish List has started off 2017 with magical news! On 8th January 2017 we booked the flights of our first ever wish child and her family to experience a once in a life time trip to Give Kids The World Village, Florida. 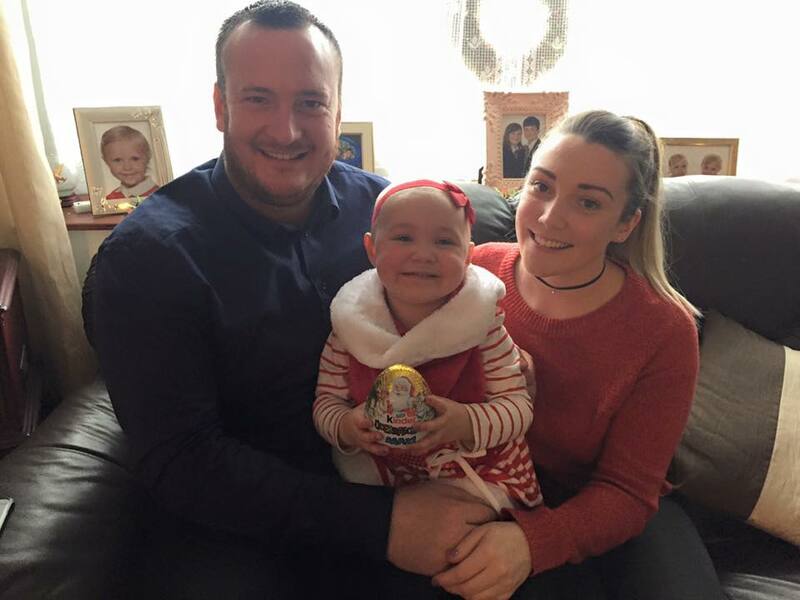 A beautiful 2-year old princess, Holly and her family will be making there way over to Orlando within the new year to have the most enjoyment and stress free holiday she so deserves! ”We would just like to thank this amazing charity for not only making our Christmas Day but helping us put a tough 2016 behind us!! On Christmas Day a hand-written card was dropped through our door blessing my family with a trip to “Give Kids The World” in Florida, a fantasyland designed for poorly children. I cannot thank this charity enough for the joy and excitement that you have brought to my 2-year old daughter Holly who was diagnosed with leukaemia last year! She has battled through her first 6 months intensive treatment and is now doing really well on maintenance. Unfortunately more families in Coventry inevitably will need help and love from this charity one day. So if anyone is ever stuck on who to fundraise for, choose these guys! Making dreams come true for children at Christmas! From all of us at ”Childrens Christmas Wish List” we would like to give thanks to all our supporters through the past years, as without you it would be impossible to make these amazing moments happen!! One wish child of many is being sent over to Florida, lets make more dreams come true and help these children fight their life-threatening conditions. Bookmark this article First Wish Family Granted! Jumping out of his comfort zone!